The Austrian cinema market leader is investing 25 million euros in the construction of eight venues in Romania. 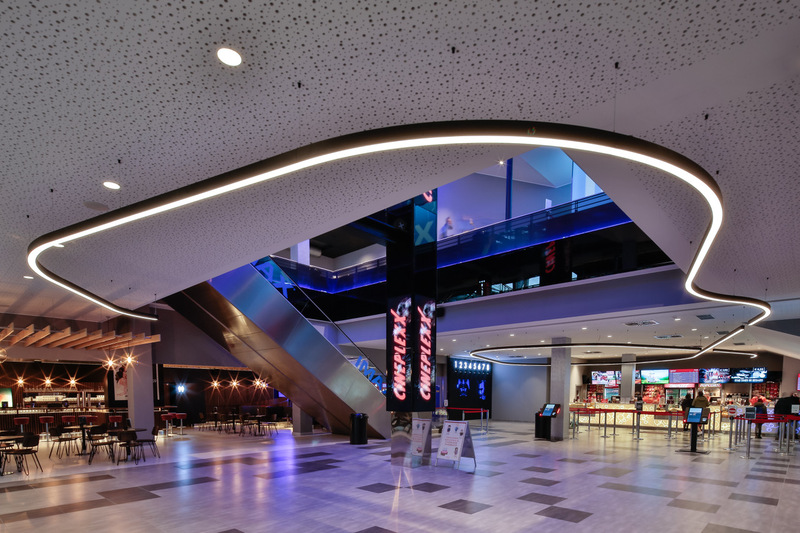 The first two cinemas will open in the first quarter of 2019 in Bucharest and in Satu Mare. Vienna (November 12, 2018) – The Austrian-based international cinema operator group, Cineplexx, is continuing to broaden its international market presence as it expands into the Romanian market for the first time. By 2021, the largest cinema operator in the SEE region – which currently comprises 22 venues from Slovenia through to Greece – will set up eight cutting-edge movie theatres in several Romanian cities, thereby introducing the latest image and sound technology. The company has entered into long-term lease contracts with renowned shopping mall operators in various Romanian cities. In the first quarter of 2019, the first two venues will open in Bucharest and in Satu Mare in the northwest of the country. A further two more venues are planned for the end of 2019. “We see great potential for development in the Romanian cinema market and – based on a clear “second-mover” strategy – we have decided to develop premium movie locations in several new shopping malls. Furthermore, we are currently investigating “refurbishment projects“ that may also be added to our portfolio in the future,” says Christof Papousek, managing partner of the Cineplexx cinema group. After the initial expansion of four new locations in 2019, Cineplexx is planning to open four additional cinemas: two in 2020, and a further two by the end of 2021. In total, Cineplexx will invest 25 million euros into the construction of more than 50 screens. Cineplexx already maintains a strong presence within the SEE region and is therefore well positioned and prepared to provide excellent conditions in the Romanian market. On the one hand, its presence generates large operative synergies, and on the other, it facilitates optimal use through its well-established infrastructure and professional know-how. With this next new development, Cineplexx will continue its successful expansion strategy in southeast Europe, thereby consolidating its position as the largest leading cinema operator across the entire SEE region. In mid-November, Cineplexx will be opening a cinema with eight screens in the “Promenada” shopping mall in the Serbian city of Novi Sad. Shortly thereafter, in midDecember, the second Cineplexx cinema will open in the Albanian capital of Tirana. “With our entry into the Romanian market, we are once again emphasising our counter-cyclical investment strategy and are preparing ourselves for forthcoming strong years for cinema in 2019 and 2020. World-famous blockbuster series, including Star Wars, James Bond and Avatar, are currently being produced and will ensure new visitor records”, says Christian Langhammer, CEO and main shareholder of the Cineplexx cinema group. Cineplexx has taken a leading role in the entire SEE region in cinema technology, particularly regarding laser projection, 3D cinema, IMAX®, Dolby VisionTM laser technology and cutting-edge sound technology. Only recently, the first cinema in the German-speaking region equipped with a Samsung Onyx LED screen was opened in Vienna.